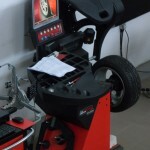 Tyre Servicing Equipment Sales & Service - L. Luca Enterprises Ltd.
Tyre Servicing Equipment is an important activity of our Company. 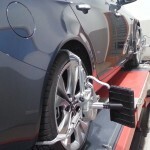 Our headquarters in Nicosia include a complete alignment demo and training chamber. This demo chamber includes the latest John-Bean alignment unit V3400 along with a 5.5 meters long, 5 tones scissor lift. 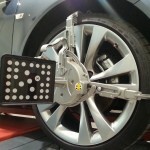 Any one who interested to invest in wheel alignment business has the chance to hands-on practice and experience simplicity and accuracy of John-Bean. Customers are taken from first steps, get explained what are the potentials of every model and according to their needs we sell them, take care of the installation place, train the personnel of the customer, offer on line remote assist and if equipment fails to operate for a reason or customer complain for anything, then our well trained technicians will take care to bring back in service your precious investment in zero time. Also our demo and training chamber includes a BFH-2000 wheel balancing machine which is available to anyone for test and practice on new techniques concerning high performance wheels & tyres.